Bo Andersson: His tough-guy style of management didn't set well with many. The tougher the challenge, the more Bo Andersson, the former purchasing czar at General Motors, seemed to relish it. But Russia's recession-plagued auto industry proved more of a challenge than even Andersson could master. 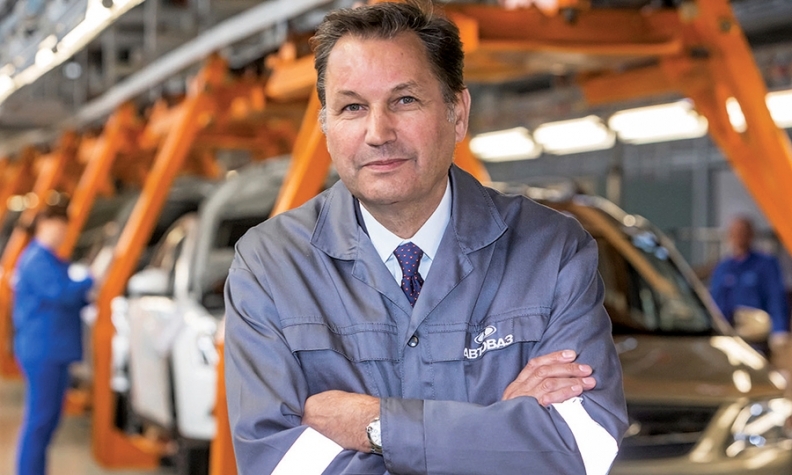 Last week he was ousted as CEO of AvtoVAZ, Russia's largest carmaker, blamed for nearly $1 billion in losses in 2015 and for an "excessively strict personnel policy," according to The Moscow Times. In nearly seven years in Russia, Andersson, a former Swedish army Special Forces major, had brought discipline, efficiency and quality to a Russian industry that had mostly lacked all three. The Moscow Times vividly characterized Andersson's management style: "Bo Andersson was at the car factory day and night. He was known for starting his workdays at 6:30 a.m. ... Andersson made lightning-fast decisions, demanded their immediate execution and dealt with unsatisfactory employees promptly. He gave walking papers to three company vice presidents and two dozen top managers last year alone." But his tough-guy style didn't sit well with many. "Andersson was long doomed, having managed to incense just about everyone -- Russian officials, foreign managers and his own employees," the newspaper story said. To improve quality, Andersson replaced many of AvtoVAZ's Russian suppliers with foreign companies, not endearing him to the local supplier community. "The AvtoVAZ conveyor stopped several times when the stubborn Swede personally sent large batches of parts back to their suppliers because of poor quality," according to the story. Andersson, 60, had not replied to an email at press time. Neil De Koker, former president of the Original Equipment Suppliers Association, said Andersson was always tough but fair in his years as GM purchasing boss. "I worked with Bo during some of the most difficult years facing the automotive industry in the late 2000s. Bo was in the situation where he had targets presented to him to help GM survive. He told me: "If I don't meet those targets, somebody will be in my shoes.'" Tim Leuliette, former CEO of several suppliers, including Metaldyne and Dura, said: "The auto industry is an eat-your-young kind of industry. We fight for pennies on both sides of the table. He had to represent his side, and we represented ours. He was tough but when he gave me his word, his word was solid."